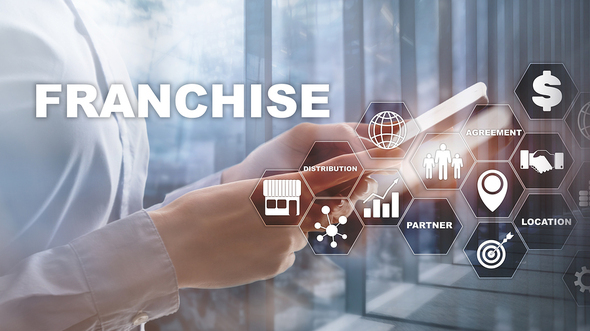 As seen in the recent post Women in Business: Is Franchising in Your Future?, women business owners are increasing both in sheer numbers and as a percentage of all new businesses. Obstacles remain, however, especially when it comes to applying for and being approved for the funding necessary to open a franchise. The U.S. Small Business Administration (SBA) offers programs that help women and other business owners gain a competitive advantage. Can women get SBA loans to finance a franchise opportunity? The answer is yes. The SBA does not issue loans directly to entrepreneurs looking to buy a franchise. Like with its other lending programs, the SBA guarantees the loans provided by lender partners. Lower interest rates. Rates are generally prime plus 2.75%. Lower down payments. Using the SBA loans program means entrepreneurs need to put down less money, usually 10 percent to 30 percent. Longer loan terms. Typically, franchise buyers have payback terms of 10 years for loans without real estate or up to 25 years with real estate. Working capital. Business owners can take out loans that cover needed working capital via these programs. Advice. Some loans come with counseling and support programs to assist with the running of your business. Unique advantages. Depending on the loan, you may have flexible overhead requirements or no collateral obligations. To qualify for a franchise loan, a borrower needs to select from an approved list of hundreds of companies that meet the Federal Trade Commission’s definition of a franchise and others that the SBA has deemed eligible. This directory allows for owners and lenders alike to know in advance that the franchise purchase qualifies for the SBA loan program. After you have done your due diligence as to the franchise you are seeking and are ready to explore financing, you can use the SBA’s Lender Match tool to find institutions that can be helpful in a matter of days. Knowing how much you will need to invest often means supplementing your SBA loan with other sources, whether they be savings, credit cards, loans from friends and family, or alternative financing. One often overlooked possibility to close the gap between what an SBA loan can provide and what you actually need to fund your franchise opportunity is your 401(k). Benetrends pioneered the use of 401(k) Rollover as Business Start-Ups (ROBs) financing, which leverages your existing retirement funds to fuel the new business. With Benetrends, you can use those funds without withdrawal penalty to give you the funds that make your franchise opportunity a reality. To learn more about Benetrends' 401(k) ROBs business funding, watch the webinar: How To Use Your Retirement Funds To Buy A Franchise Or Business.